At The Hameroff Law Firm, P.C. in Tucson, we help accident survivors and their families obtain maximum compensation and recovery after life-altering spinal cord injuries. If you have suffered a spinal cord injury as a result of another’s negligence, we can offer you the sound legal advice, caring support and aggressive, hands-on representation you need. Contact us today at info@hamerlaw.com to schedule a free consultation to learn more about your rights and your legal options. For more than 25 years, the personal injury attorneys at The Hameroff Law Firm, P.C. have helped the victims of serious car crashes recover full and fair compensation for medical bills, pain and suffering and future costs of care. At our firm, an experienced lawyer will work with professional life care planning experts to accurately project the full lifetime cost of a spinal cord injury. Attorney Hameroff has spent significant time working with physicians at the Craig Hospital in Denver, Colorado, a world-recognized center for spinal cord rehabilitation. We devote all necessary resources to helping victims of paraplegia and quadriplegia, including life care planners to help us assess needs for future care. If funds are recovered, our attorneys can help arrange professional financial management and estate planning referrals. As a rule of thumb, the statute of limitations for filing a claim is two years, so we urge victims of catastrophic car accidents to meet with a lawyer at our firm as soon as possible, so that we can protect your rights and pursue compensation. 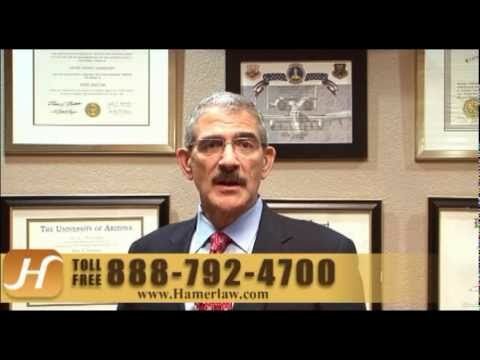 Call The Hameroff Law Firm P.C. in Tucson at 520.792.4700 or 1.888.792.4700 today to discuss your rights after car accidents and legal options in seeking maximum lifetime recovery after spinal cord injuries or the wrongful death of a loved one. You also can email us today at info@hamerlaw.com now with questions or to schedule an appointment.